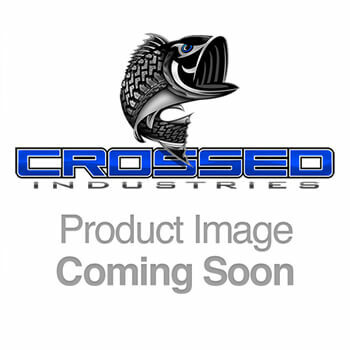 Crossed Industries is proud to offer an assortment of performance products like Air Filters, Intakes and Fuel Filters, Batteries and Chargers, Brakes, Rotors and Pads, Engines and Components, Exhaust, Muffers and tips, Chips and Programmers, Suspensions Systems, and also Air Suspension and management. At Crossed industries our Performance manufacturers can’t be beat with brands like: Addictive Desert Designs, AirLift, ARB, Bully Dog, Edelbrock, Fox, Gibson, Fuel Offroad, Hawk, K&N, MagnaFlow, MBRP, Ready Lift, Optima Batteries, ProComp, and WARN, who could possible go wrong! These systems are for the person who wants a subdued but custom look with all the benefits of a Flowmaster exhaust system. 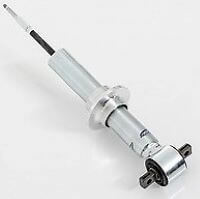 They feature mandrel bent 16 Gauge aluminized steel tubing, either weld-on or flanged inlet pipe/pipes, specially tuned muffler, clamps, hangers exiting in the factory location either under the bumper, or through the valance at the rear of the vehicle SOR or out the side SOS behind the rear tires. Max. Tire Diameter 32 in. The Poly Lift Kits are one of the simplest ways to gain the additional height necessary to clear over size tires without sacrificing ride comfort.